1962. The decade labelled The Swinging Sixties was just around the corner. But the imminent sexual revolution would be wasted on Edward Mayhew and Florence Ponting, the young newly-weds of Ian McEwan’s Chesil Beach. 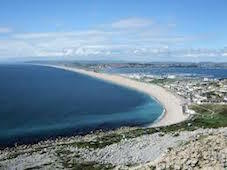 That opening sentence sets the scene for a tightly-focused human drama which takes place against the background of one of the natural wonders of the world; the massive shingle bank of Chesil Beach in Dorset. Edward and Florence arrive at the hotel for their honeymoon. Naturally they want their first evening to be perfect. But dinner in their room overlooking the bay doesn’t quite live up to their romantic expectations. Soggy, overcooked vegetables served by obtrusive waiters result in a strained atmosphere. There is however a greater source of tension that rears its head as the night progresses. Their courtship never progressed beyond a few passionate embraces. Edward was always the most ardent of the pair but accepted (though reluctantly) Florence’s desire to wait until they were married for any greater intimacy. Now the moment is approaching when Edward imagines uninterrupted pleasure will be his. Too late he learns this is one aspect of their life that will forever represent a source of discord. Tragedy ensues. The scene in the hotel bedroom verges on awkward comedy where you’re not sure whether to laugh or sympathise. 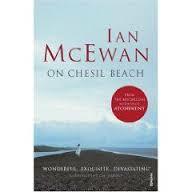 But McEwan leaves us in no doubt when the couple meet on the beach later the same night. There is a moment where the drama pivots between the possibility of reconciliation and the possibility of fracture. McEwan is a writer with a superb ability to understand human nature. Here he shows how just a few words, spoken in anger and frustration can be a tipping point,a moment in a relationship from which there is no going back. Words uttered in the heat of the moment that are instantly regretted but whose hurt can never be healed. It’s a painful scene because as readers we can see where it all went wrong. Instead of an enduring flush of romantic love, we get bitterness and disillusionment. A sad little tale that taken me years to get around to reading even though I like most of McEwan’s novels. It’s one I can easily imagine re-reading at some point. Posted on August 20, 2015, in Book Reviews and tagged Ian McEwan. Bookmark the permalink. 25 Comments. I loved this book too … I think McEwan is a master of the moment that changes all. I thought this was so beautifully and tightly evoked, and you feel for both characters and for the failure of communication that brings it all asunder. I’m always surprised when people don’t warm to this book, like some of your commenters here. I think some people just can’t empathise with Florence, and if you can’t do that the book just won’t work. However, I can still feel the devastation of it. I felt saddened for both of them. Not sure that if they had been reconciled that night that they would necessarily have been happy ever after though since they did seem to want such different things. Yes, I did too … So sad for them both. This is a book I liked but I never felt I got it fully. On the surface, it’s very simple, but I got a sense of a lot of undercurrents that weren’t fully explored. Did you get that feeling too, that he left a lot unsaid in places? I guess it’s time I reread the book. It’s slim size was deceptive because of the depths of feeling he explored. I didn’t however feel something was left unsaid. I really loved this book. Great review! Oh, I love this book. At first, I didn’t think it was acceptable for the couple to do what they did after the “tragedy” occurred, but McEwan writes with such clarity that I felt myself reaching out to Edward and Florence. This has been lingering on my shelves for a long time too; I suppose part of that is due to how unsettling his work can be but, as you’ve said, it’s such a slim novel that there is very little good reason to have avoided it for so long! I loved Chesil Beach too, it is sad and wincingly awkward but so beautifully and authentically explored that it remains very memorable for me. He is one of my favourite authors but I just hated this one! oh dear, what was it that alienated you? I can’t really remember I just know it left me cold. I loved it too. I agree that McEwan is an outstanding writer – and I still haven’t read Atonement yet. I’m not quite sure why I’m keeping it for a rainy day except that…well, it IS useful to have something special to look forward to! This is one of those books that I know in my head is a superb piece of writing but to which my heart has never been able to warm. It is my fault entirely and nothing to do with the book and I feel really disappointed in myself as if I’ve let the novel down. Some books have that effect – you know they are extremely well constructed and yet they don’t speak to you. what was it that you didnt care for Brona?